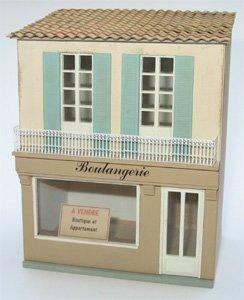 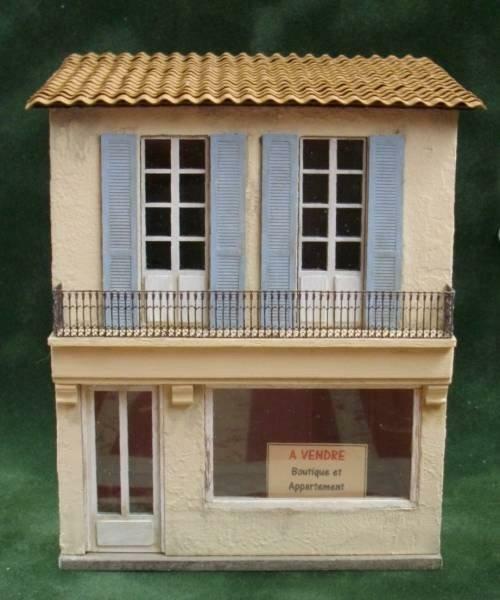 A french style shop kit by Jane Harrop - 'La Boutique Francis'. 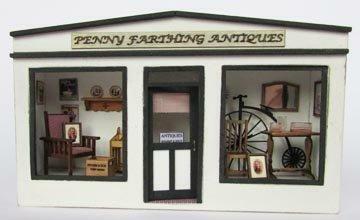 The kit comes with everything you need to complete the shop shown in the photos apart from paint, stain, glue and powered polyfilla or equivalent. 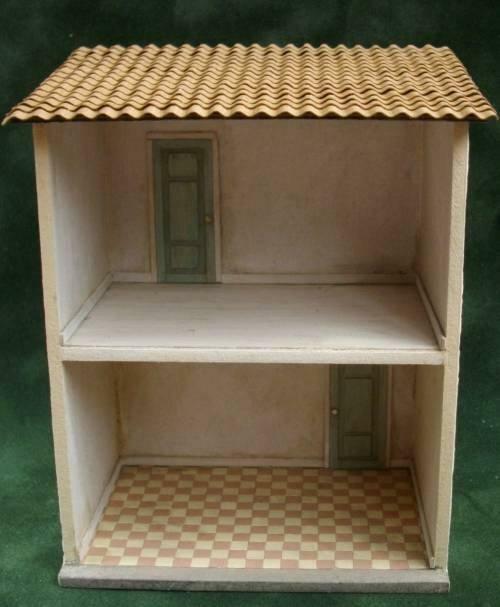 Comes with a choice of 3 tile colours for the shop floor, beige, terracotta and grey. 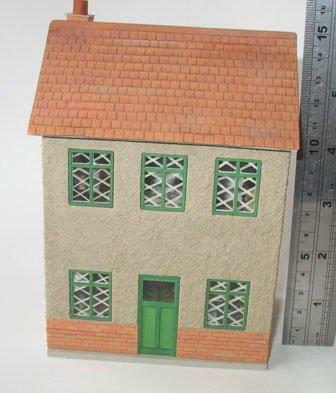 See what I have available above. 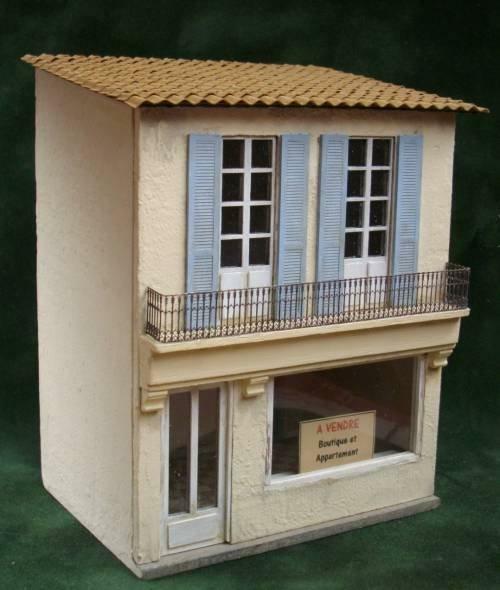 This is a lovely little shop kit with good instructions.The bottom 3 pictures are my finished example of the kit which will be a flower shop, "La Petite Fleuriste ".